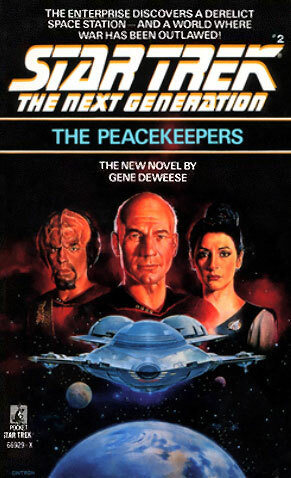 The second regular novel based on Star Trek: The Next Generation has surprised me, reading it 25+ years after publication, by being really good. I started re-reading the series in order, with the feeling that I was going to be disappointed by everything in the early numbered stories, but both book one and this are really good. It's a story mostly about Geordi, a surprisingly under-served character really, when he and Data are mysteriously transported away while investigating a drifting derelict. The characters, certainly in the first half of the novel, are very recognisable from the portrayal in the early episodes of the TV show, and it feels like the author has got a really good grip on how they were envisioned at that time. 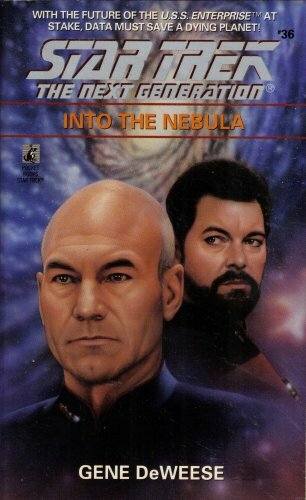 As a sci-fi plot, it's strong - there's mystery, suspense, twists, a deep back-story that might not be all it seems, and the narrative flows well throughout, focussing on Geordi and Data but giving a good outing to many of the other main characters (though Wesley Crusher is curiously unmentioned). 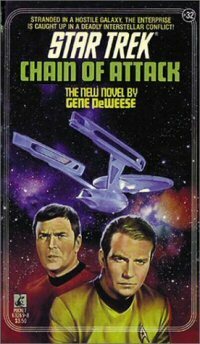 I actually really enjoyed reading this, and am looking forward to reading DeWeese's later TNG novels.